Fans were taken by surprise when news of the wedding was reported today, January 19. 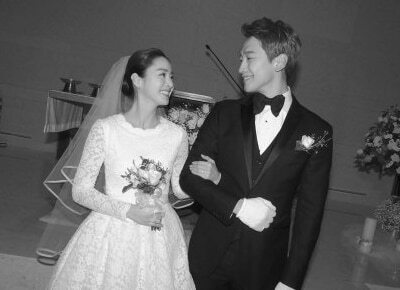 Hallyu wave star Rain married actress Kim Tae Hee on January 19 in a Catholic ceremony at the Gahoe-dong Cathedral in Seoul. Reports say the private and intimate wedding was attended by Rain and Kim Tae Hee’s family and close friends, including the PSY, Honey Lee and the popstar’s discoverer and former producer J.Y. Park (JYP). The couple took their fans by surprise with the sudden announcement of their wedding. In previous reports, Rain and Kim Tae Hee said they will get married this February. Kim Tae Hee expressed in a hand-written letter to their fans her gratefulness for their unending support. She also promised them that as a couple, she and Rain will cherish one another and live their lives to the fullest. Rain began dating Kim Tae Hee in 2012.